Regular readers will have already seen that the first ever Irish Cycling Show is taking place this month, promising to appeal to a wide range of cycle audiences. Cyclescheme and many other significant companies on the roster (see the official Irish Cycling Show site for the most up-to-date listing). Professional road cyclist Philip Deignan is the latest big name from the world of cycling to get behind Ireland’s first Cycling Show. Scottish BMX stunt team The Clan will bring their stunt track attraction to Dublin in May too. The stars of Scotland’s cycling community have appeared to over 100,000 people live in the flesh, over one million on television and over 30 million with their online videos. At the Irish Cycling Show 2012 they’ll be acting their stunts out live for audiences. There will be practical advice and throught provoking discussions at the show too, taking place in the dedicated seminar theatre will be installed at the RDS, playing host to a presentations from experienced coaches and industry cycling experts. Cycling psychology will be covered in “The great untapped resource in sports performance”, while nutrition will be examined in “Fuelling the engine for top results”. Bike Fitting will get its own focus too in a seminar entitled “How to get the most power through the pedals with the least pain”. The inclusive spirit of the show will see Ireland’s annual eight-day stage race An Post Ras get a seminar alongside a ‘how to’ focus on cycling as a sport for ages eight to 80. Last but not least, Stephen Roche will get a seminar entitled “25 years on, Dublin’s finest reflects on his triple crown”. As the title suggests, the Dublin cyclist is celebrating the 25th anniversary of his 1987 racing season when he won the Giro d’Italia, the Tour de France and the World Road Race Championships. The Stephen Roche Cycling Holidays and Training Camps in Mallorca will be featured on his stand. Attendees will have chance to win a Stephen Roche Cycling holiday over the course of the weekend event. The Irish Cycling Show has secured joint title sponsors One4All and An Post. 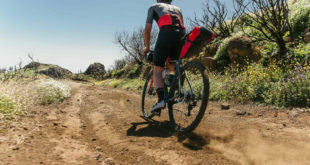 Both companies have been active in promoting the health, tourism and leisure benefits of an activity that now boasts over one million bicycle owners in Ireland alone. Michael Dawson of One4All will promote One4All’s various activities in cycling including promotion of the Cycle4Haiti charity cycle and a thriving business in bike purchase vouchers for the Cycle to Work scheme. He says: “We’re delighted to be co-sponsors of the inaugural Irish Cycling Show, which I think it’s going to be something very special. Over to organiser Mara Media for a final word on the new event show: “The Irish Cycling Show will feature exhibitors from every facet of cycling and related industry, including cycle retailers and distributors and there will also be emphasis on general feature attractions to entertain the whole family. WHEN: The weekend of May 19th to 20th 2012.